Steve Webb is an ex-Googler with a Ph.D. in Computer Science. 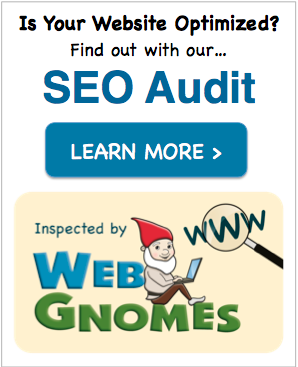 At Web Gnomes, he spends almost all of his time on the best SEO audit in the industry. Steve received his Ph.D. from Georgia Tech in 2008, and he has published dozens of academic articles in various Internet-related topics. He has presented his work at top-tier conferences, and he has served on numerous program committees. Professionally, Steve has experience working in a variety of different settings. He has worked for large corporations such as Google; he has worked at other people’s start-ups, and he has worked at his own start-up. He even spent time as a visiting professor at the University of Canterbury. To find out more about Steve, connect with him on Twitter, Google+, or LinkedIn.